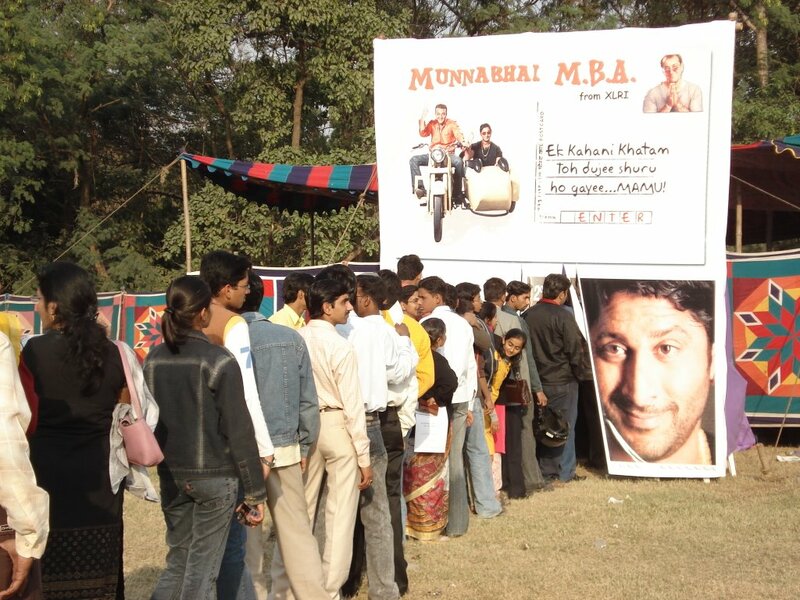 From Munnabhai M.B.A. to Kissa Qatil Ka, MAXI Fair 2007, organized by the Marketing Association of XLRI (MAXI) on Sunday, 21st January, 2007 had all the elements of fun and entertainment that make it one of the most awaited events of Jamshedpur. Inaugurated by Lt. General Thomas Matthew, currently the adjutant general of Indian Army, and Mr. Nitin M. Kulkarni, Deputy Commissioner, Jharkhand’s East Singhbhum District, in presence of the eminent faculty of XLRI, the 28th edition of the fair witnessed footfalls close to 4000, and was success unparalleled. Adjectives such as pioneering, first time ever, path breaking, innovative are just a few of the words associated with one of the most famous and often cited example of excellence, the “Marketing Fair” of XLRI. The concept of a Marketing Fair was envisioned by the eminent Dr. Sharad Sarin (named one of the top five professors in business management by Business Standard) in 1979 as a marketing research tool. The objective of a marketing fair was that it allowed for a four-way interaction among the students, the teaching faculty, companies and the local community. It broke away from the traditional testing methods and translated the marketing research methods into games which could be administered in the guise of a mela. The concept uses creative games and events which are used to obtain unbiased and accurate information from the visitor who is from the target consumer profile. The element of cultural mela is exciting and appears to be an enjoyable event to the visitor who is unaware that his inputs being noted by students are further used to analyze consumer behavior. The simplicity and ingenuity of this concept has revolutionized the way marketing fraternity approaches research. The success stories of the research and the testimonials from marketing gurus have validated and endorsed this brilliant concept. And just as every great idea is imitated this ground-breaking conception has got the compliment of similar variants implemented by top b-schools of India and abroad. It is an unusual idea that continues to win a number of adherents year after year. Not contented with resting on the laurels of previous years, this year saw the students of XLRI creating history by taking MAXI FAIR to the villages of Jharkhand and conducting research there. 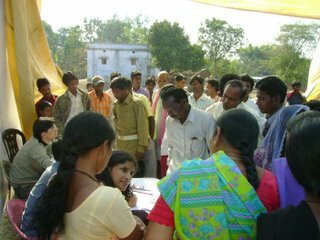 The novel idea of Rural MAXI Fair, conducting research amidst rural settings experienced grand success in its year of inception. Committed to social causes, the students took up research problems to tap the bottom of the pyramid, thus taking a small step to help the society at the grassroots levels. The execution of the market research was done by covering 2-4 hamlets in several villages of Mosabini and Ghatshila blocks in East Singhbhum district of Jharkhand. Research was conducted in the semblance of lucid games which could be easily understood by the villagers. The entire setup was done keeping the rural population in mind and the fair saw nearly 500 people from the villages attending the fair, thus setting a precedent for the coming years. It also proved to be a great learning experience for the students who had never done something like this before. MAXI Fair 2007 also gave birth to another new concept of Social Research Fair, by tying up with various NGOs and applying its knowledge to diverse areas of concern to society. The students undertook problems from CRY (Child Rights and You) and UNICEF. UNICEF also partnered in the fair through participation in its rural initiative. The innovation did not stop here, though – XLRI went a step further to give more to the society. Under the umbrella of the Marketing Fair was conducted the ShilpMela, in association with SIGMA (Social Initiative Group for Managerial Assistance of XLRI). ShilpMela acted as a platform for local artisans to market their handicrafts and agriculture products, thus enabling XLRI to translate its mission of social responsibility into reality. With corporate support well established over the years, the fair associates itself with top brands in all categories. This year saw an entire gamut of research problems encompassing various sectors, from banking to manufacturing and to the top FMCGs. Apart from these, it also had the opportunity of partnering with UNICEF and CRY for two of its problems. The biggest compliment to the efforts of the marketing community of XLRI has been the popularity of the event among the localities. With footfalls increasing year on year, the fair has captured a place in the hearts of people and is now becoming a part of the history of Jamshedpur. It has become the platform for the management students to interact with the community of their residence, and has raised the brand equity of the school among the visitors. The event which was started as a marketing research tool has now become the annual event which children and adults of Jamshedpur look forward to. Not only are the Marketing issues being addressed in an innovative manner, the students are also able to practice what they have learnt in the classrooms, design research games and events and implement them in the running of the “mela”. The 28th Marketing Fair, co-sponsored by Adityapur Industrial Area Development Authority (AIADA), and with Telcon and TATA Motorfinance as Associate Sponsors, marks yet another milestone in its event filled, successful journey.